Ladders is about how people throughout the ages have made their way to the top, by fair means or foul. 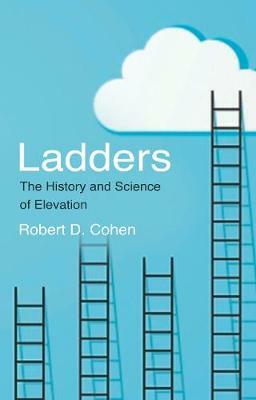 The book starts with a description of the physical aspects of ladders (including staircases, which, for the purposes of Ladders, are regarded as ways of getting to the top. Included is a discussion of gravity, which opposes one's ascent). It covers Isaac Newton dropping apples and working out a Law of Gravitation from his observations, and the friendly rivalry between Newton and Robert Hooke (who was interested in the same topic), as well as ladders in stockings, the history of the superstition that walking under a ladder brings bad luck, ladders in art, including representations of Jacob's Ladder (from the Book of Genesis to the statue of a man carrying a ladder outside Edgware Road Underground Station), and the origins of the saying `honi soit qui mal y pense'. Robert is the author of a series of books describing the history, science, medicine, artistic representation and cuisine of various body parts which includes; Skin and Bones, Man and the Liver, Splancreas and other Offal, A Muscle Odyssey and Nephrosapiens - A History of Man's Thinking about the Kidney. Ladders will appeal to those interested in history, science and medical books.